Color Enhancers are natural compounds which are added to fish food so that fish can develop their natural colors. Color Enhancers are not artificial agents. They are substances which the fish get when they are in their natural ecosystem. Red Algae Pigment, predigested Plankton and Krill are examples of color enhancers. Carotenoid is another color enhancer. Some people believe that color enhancers are artificial and are harmful. They are not. 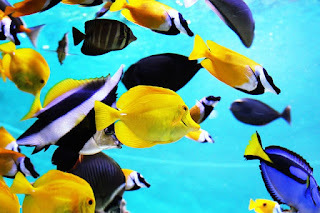 Fish get these color enhancers in the natural environment.